The Nail Snail segment featured on Australia By Design Season 2 Episode 3. Innovation at its most simple is about bringing an idea to market, but the power comes when you link design to creativity which allows that innovation to answer a need we didn’t know we had. The second series of TEN’s highly popular Australia by Design: Innovations once again aims to bring design excellence into the hearts and minds of Australians. Reminiscent of popular shows such as Beyond 2000 and The New Inventors, over 6 episodes Australia By Design: Innovations features ten amazing innovations in each episode, one or more of these innovations are chosen to go through to the 7th and final episode to be featured as the top 10 best and most exciting innovations of the year. It will be up to the shows expert panel of judges to decide which innovation will be declared Australia’s top innovation of the year. The Nail Snail was featured in Series 2, Episode 3 and has been chosen as a finalist. Julia Christie, Gold Coast, who founded Christie & Christie, has been named AusMumpreneur Product Innovation Award winner. 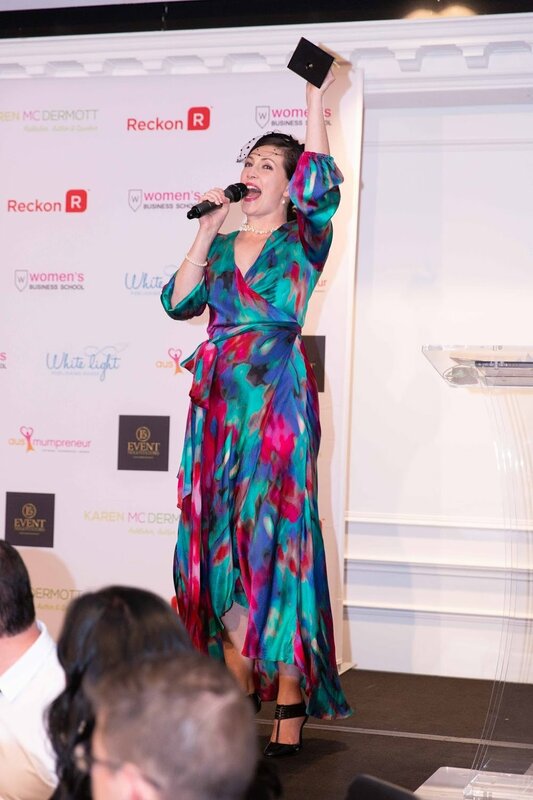 The awards were held at White Night Receptions, Melbourne where talented mums in business from all over the country gathered to support and encourage other Australian Mumpreneurs. 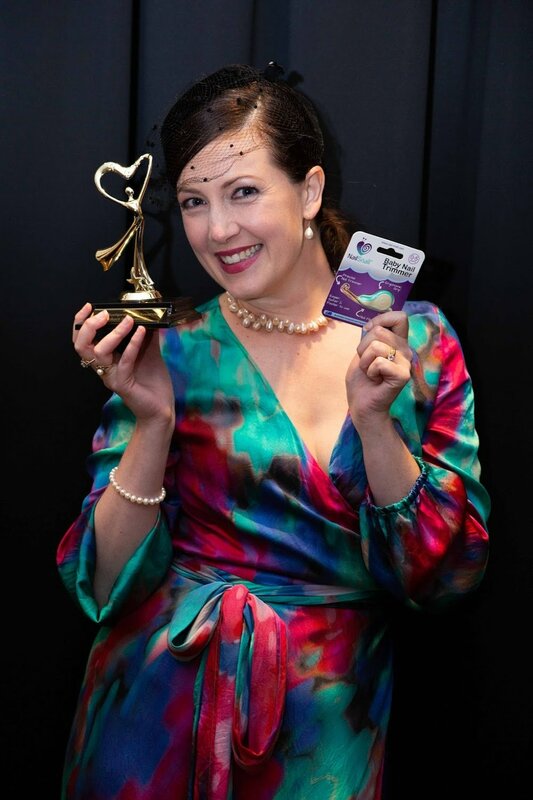 Julia Christie said she was excited to win in her category in the 2018 AusMumpreneur Awards against such a talented group of women. 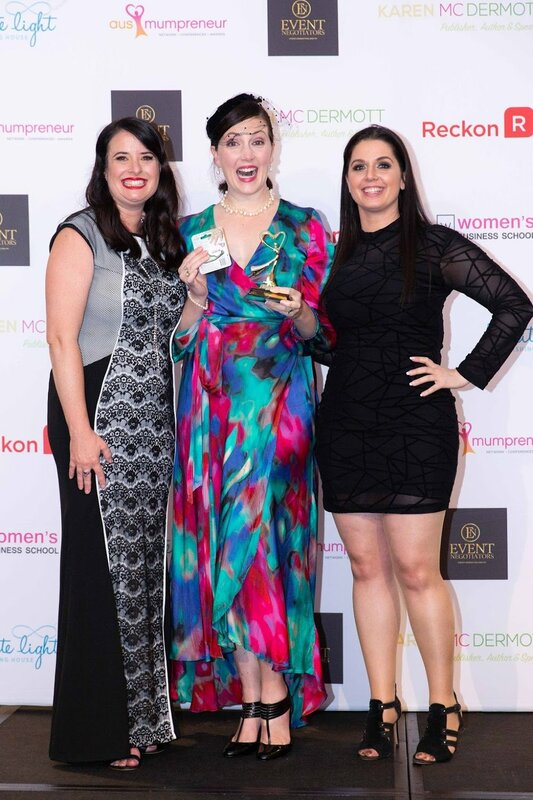 AusMumpreneur was created to support Australian entrepreneurs like Julia Chrsitie and her fellow AusMumpreneur Award winners, Peace Mitchell, cofounder of AusMumpreneur said. “These awards are all about recognising the growing number of mums who are achieving outstanding business success while balancing motherhood. I was blown away by the entrepreneurial spirit, resilience and professionalism of the award winners and I know that they will provide great inspiration for other mums considering starting their own business,” Peace said. This is the ninth year the AusMumpreneur Awards have run, with the business mum community growing at lightning speed as mothers look for opportunities to join the ranks of small business owners in search of more flexibility, financial freedom and family time. “We are delighted that Julia Christie has won this award, she has created an outstanding business and is an inspirational role model and ambassador for mums in business everywhere. We wish her and all our amazing Ausmumpreneur Award winners every success in the coming year,” co-founder Peace Mitchell said. There are 30 categories in the 2018 AusMumpreneur Awards, with 26 judged and 4 open to public voting. Click on the image above for a full list of winners. Nail Snail - Baby Nail Trimmer received a prestigious Good Design Award® Winner in the Product Design category in recognition for outstanding design and innovation. Winners of the Good Design Awards will be showcased to the general public during Vivid Sydney, the world's biggest festival of light, music and ideas in Sydney from 25-27 May 2018 at the Overseas Passenger Terminal, Circular Quay. NSW, Australia — February, 2018— Christie & Christie today announced it has been named a winner in the 2018 BIG Innovation Awards presented by the Business Intelligence Group. The Nail Snail is a brand new concept. There is nothing even remotely similar, which is why it is such an outstanding and unique product. It makes parents' lives easier and reduces injury to children. A truly global issue.